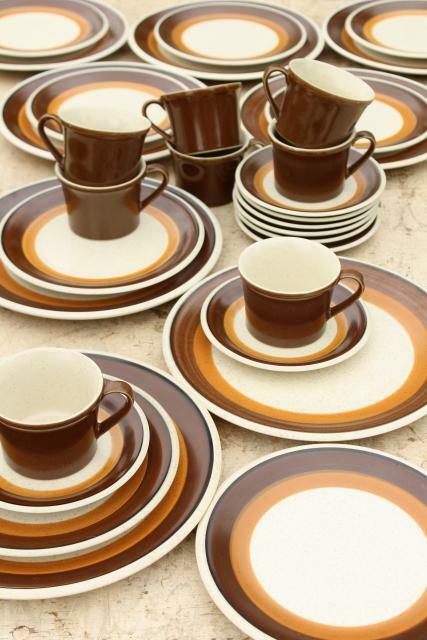 1970s vintage Wm. 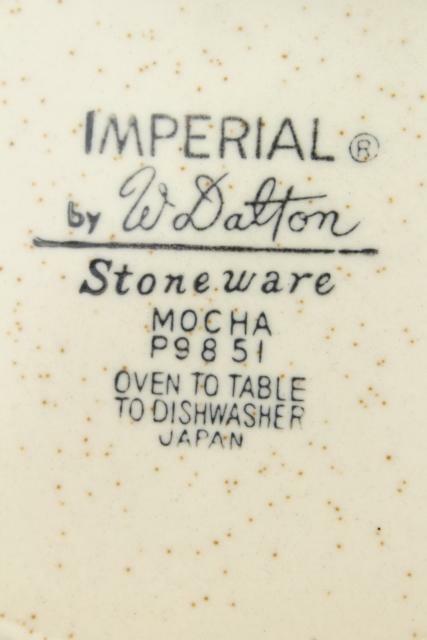 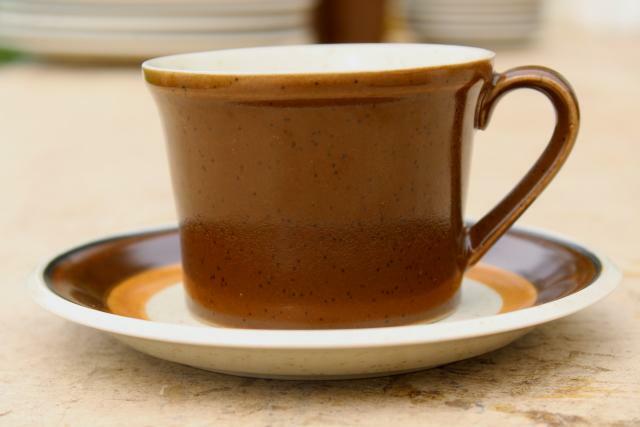 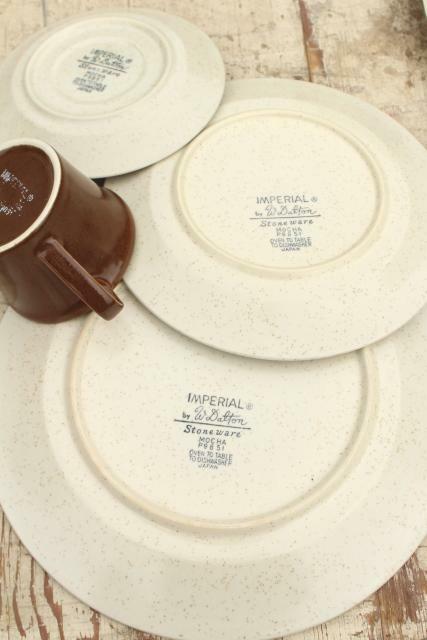 Dalton Imperial Japan stoneware pottery in the Mocha pattern. 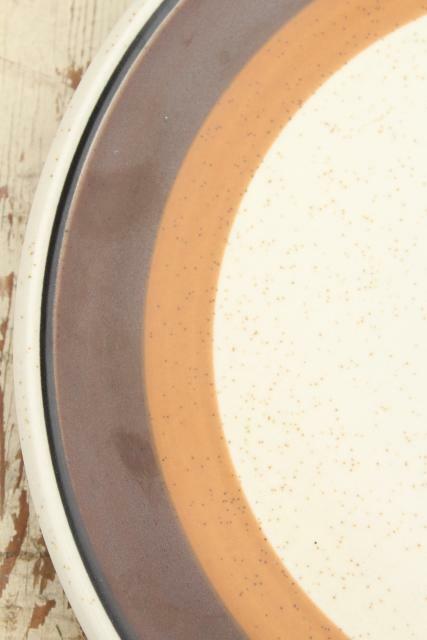 This has a striking design and a silky matte finish, very mod! 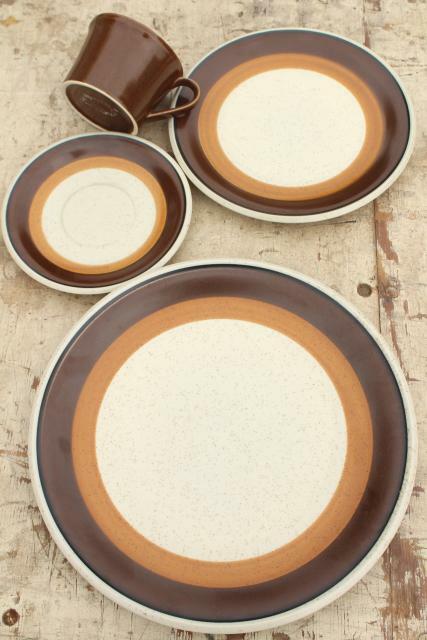 This is a set for eight, eight each of 10 1/2" dinner plates, 8" salad plates, cups and saucers. 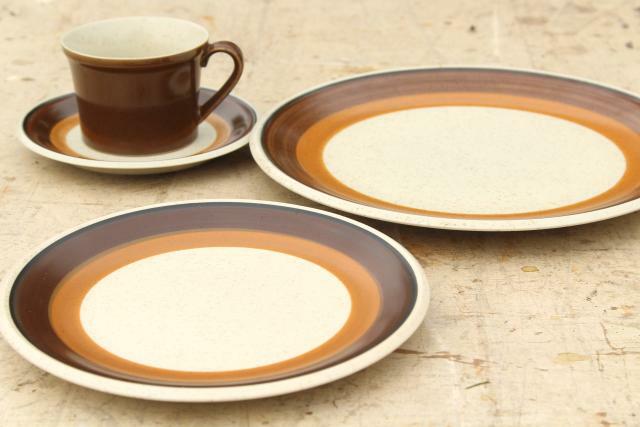 These are all in excellent condition - I don't believe this set was ever used.